Looking for places and St. Augustine Attractions to check out while you are visiting the Old City. There are tons of St. Augustine Things to Do at the beach and lots of beach activities, tours and fun. We've included some information on the St. Augustine Beaches below. St Johns County has one of the most beautiful coastlines in the state of Florida. Ride up or down Hwy A1A, also known as Beachfront Avenue, to find all sorts of cool St. Augustine Things to Do at the beach. There are tons of great stores, boutiques, shops and restaurants all along the highway and right off of the beach. 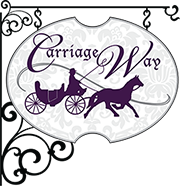 Carriage Way, is the most beautiful of the St. Augustine Florida Inns. Stay in our historic, Bed and Breakfast St. Augustine. Crescent Beach – located on Anastasia Island (a preserved state park and wildlife refuge). Crescent has lots of serene scenery and remains mostly natural. If want to walk up and down the beach looking for shells and other beachcomber items this is the place. You can enjoy boating, diving, and fishing while here. St. Augustine Beach FL – this beach is on Anastasia Island and features white sand beaches and the St Johns County Pier. The pier has a nice playground, pavilion, fishing areas, restaurants, shopping, volleyball courts and bait shops. Cars are permitted on the beach within designated areas. Anastasia State Park and Recreation Area – this natural setting is a state park, wildlife refuge and a barrier island. It consists of 1,700 acres, five miles of sandy beaches. You can swim here and enjoy hiking the nature trails or grill out at the picnic areas. There is also a nice covered pavilion and playground here. Admission costs $8.00 per vehicle load, $4.00 for a single occupant vehicle and $2.00 for bikes and pedestrians. Vilano Beach – this quiet beach is one of the lesser known St. Augustine Beaches, so it's often called the ‘best kept secret' beach in St. Augustine. You can enjoy swimming, and the waterfront restaurants here or walk the Vilano Beach Fishing Pier. Parasailing and Sea Doo rentals are also available here. Usina Beach – this northern beach is near the Intracoastal Waterway and features plenty of natural scenery. South Ponte Vedra Beach – located just south of Ponte Vedra in North St Johns County, South Ponte Vedra Beach is the home of the PGA Tour, the Players Chamipionship, and the Association of Tennis Professionals Tour. Beach access is limited here but there is plenty of upscale shopping and parks. No vehicles are permitted on the beaches here. Guana River State Park – this state park is a 2,00 acre sanctuary for endangered wildlife. There are plenty of recreational acvities. There are two public beaches, dune crossover boardwalks, a stretch of 4.2 miles that is nothing but undeveloped, scenic beach along the Atlantic Ocean. Pets are prohibited.